Crown Prince Mohammed Bin Salman hosts Trump's special envoy and adviser discuss Israel-PA peace process. 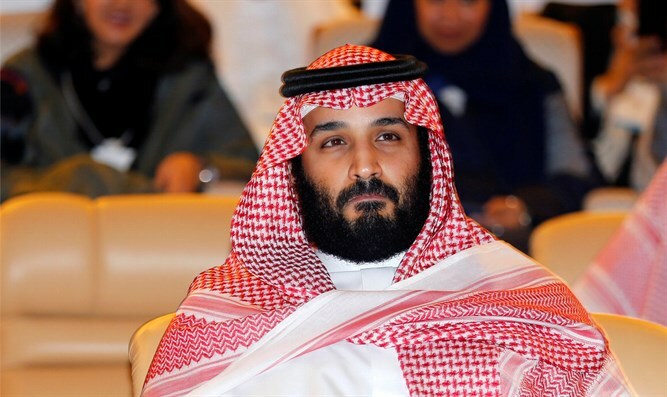 Saudi Arabia's Crown Prince, Mohammed Bin Salman, on Wednesday hosted U.S. President Donald Trump's special envoy Jason Greenblatt and adviser Jared Kushner to discuss the Israel-Palestinian Authority peace process, AFP reported. The meeting with the Crown Prince came as the IDF attacked Hamas targets in Gaza in response to a barrage of 45 rockets and mortar shells fired from the Palestinian enclave toward southern Israel. "Building on previous conversations, they discussed... the need to bring humanitarian relief to Gaza, and the Trump administration's efforts to bring peace between the Israelis and Palestinians," the White House said in a brief statement following the meeting. Greenblatt and Kushner are in the region as the Trump administration prepares to present its peace proposal for Israel and the PA.
On Tuesday, the two met with Jordan's King Abdullah II in Amman. They will also visit Israel, Egypt and Qatar. Kushner and Greenblatt are not slated to not visit Ramallah or meet any PA officials. PA chairman Mahmoud Abbas has refused to consider the Trump administration an honest broker for peace negotiations with Israel since Trump’s recognition of Jerusalem as Israel’s capital last December. PA officials have repeatedly rejected the Trump administration’s peace proposal, claiming it has been coordinated with Israel. However, a report in Israel Hayom on Monday said that Abbas is under pressure to meet Kushner and Greenblatt. According to the report, the pressure is coming from officials in Saudi Arabia, United Arab Emirates (UAE), Egypt, and Jordan, as well as from senior officials in the PA itself.